International Area Studies Review (IASR) is the quarterly peer-reviewed publication of the Center for International Area Studies at Hankuk University of Foreign Studies, Seoul, and the Peace Research Institute Oslo (PRIO). IASR publishes high quality theoretical, analytical, and empirical works on international politics, economics, culture, sociology, law and the arts contributing to the development of international area studies. The IASR actively encourages both theory-oriented and applied research to help close the gap between pure theory and practice. IASR stands alone as the area studies journal that is truly global in perspective. The Center for International Area Studies (CIAS) is a non-profit research institution established in 1993 and sponsored by Hankuk University of Foreign Studies, Seoul (HUFS). CIAS has 12 affiliated area studies institutes and coordinates their research works. Hankuk University of Foreign Studies (HUFS) is Korea's leading higher education institution in foreign language studies and foreign affairs. The Peace Research Institute Oslo (PRIO) is a non-profit research institution established in 1959, whose overarching purpose is to conduct research on the conditions for peaceful relations between states, groups and people. The institute is independent, international and interdisciplinary, and explores issues related to all facets of peace and conflict. To remain at the cutting edge of peace research, PRIO is both proactively involved in identifying new trends in global conflict, and oriented toward formulating and documenting new understandings and responses. International Area Studies Review (IASR) is the quarterly peer-reviewed publication of the Center for International Area Studies at Hankuk University of Foreign Studies, Seoul and the Peace Research Institute Oslo (PRIO). Please read the guidelines below then visit the Journal’s submission site http://mc.manuscriptcentral.com/IASR to upload your manuscript. Please note that manuscripts not conforming to these guidelines may be returned. Only manuscripts of sufficient quality that meet the aims and scope of International Area Studies Review will be reviewed. Before submitting your manuscript to International Area Studies Review, please ensure you have read the Aims & Scope. IASR publishes the following article types. Regular research articles: Each article should be between 8,000 and 10,000 words long. IASR features country and regional studies from around the world. We are also open to global comparative analysis. IASR publishes articles featuring cutting-edge statistical or game theoretic analyses, as well as ethnographic or historical case studies. We welcome submissions from Anthropology, Economics, Geography, History, Political Science, Sociology, and other relevant disciplines. Data Feature articles:These articles introduce a new dataset or a significant revision of an existing one. Data Feature Articles describe a new dataset, with an emphasis on showing how the new data can make a genuine contribution to area studies, for instance by pointing to results that are significantly different from previously published work. A Data Feature Article is less than 6,000 words in length and is double-blind peer-reviewed. Review Essays:A Review Essay synthesizes ‘state of the art’ research and can be about several books, several articles, or a combination of the two. These essays will be double-blind peer-reviewed. They will be no longer than 5,000 words long. Each issue of the IASR will not contain more than one Review Essay. Special Issues: IASR publishes a maximum of one Special Issue per volume. A Special Issue that focuses on an important contemporary issue or phenomenon. Special Issues will contain approximately the same number of pages as contained in a regular issue of IASR. International Area Studies Review operates a strictly double-blind peer review process in which the reviewer's name is withheld from the author and the author's name from the reviewer. The reviewer may - at his or her own discretion - opt to reveal his name to the author in the review but our standard policy practice is for both identities to remain concealed. Review Process: Manuscripts may be reviewed initially by the Editors and only those meeting the aims and scope of the journal will be sent for outside review. Each manuscript is reviewed by at least two referees. All manuscripts are reviewed as rapidly as possible. International Area Studies Review requires all authors to acknowledge their funding in a consistent fashion under a separate heading. Please visit the Funding Acknowledgements page on the SAGE Journal Author Gateway to confirm the format of the acknowledgment text in the event of funding, or state that: This research received no specific grant from any funding agency in the public, commercial, or not-for-profit sectors. International Area Studies Review encourages authors to include a declaration of any conflicting interests and recommends you review the good practice guidelines on the SAGE Journal Author Gateway. International Area Studies Review encourages authors submitting any primary data used in their research articles to be published in the online version of the journal, or provide detailed information in their articles on how the data can be obtained. This information could include links to third-party data repositories or detailed contact information for third-party data sources. Examples of data types include but are not limited to statistical data files, replication code, text files, audio files, images, videos, appendices, and additional charts and graphs necessary to understand the original research. The editors may consider limited embargoes on proprietary data. All data submitted should comply with Institutional or Ethical Review Board requirements and applicable government regulations. Authors of IASR articles using quantitative data are required to facilitate the replication of their analysis through the posting of (1) the data, (2) the codebook or any other relevant description of the dataset, (3) a file containing the exact commands used by author (often referred to as ‘do’, ‘batch’, or ‘run’ files), and (4) preferably a file containing the actual output from the statistical software used (often referred to as ‘log’ or ‘output’). All datasets will be posted on the PRIO website. Authors may post the data on their own websites as well. Authors of IASR articles using qualitative data are encouraged to post extended notes that further elaborate or clarify original source material. IASR will post these replication notes in the same manner as we post replication datasets. The extended notes may be updated with authors’ and colleagues’ comments as well as new material. For an example of this see Stein Tennesson, Vietnam 1946: How the War Began (2010). http://www.cliostein.com/documents/2009/091002_Extended_notes_for_%20VN_.... It will also be possible to include hyperlinks to scanned documents or archived materials. International Area Studies Review and SAGE take issues of copyright infringement, plagiarism or other breaches of best practice in publication very seriously. We seek to protect the rights of our authors and we always investigate claims of plagiarism or misuse of published articles. Equally, we seek to protect the reputation of the journal against malpractice. Submitted articles may be checked with duplication-checking software. Where an article, for example, is found to have plagiarised other work or included third-party copyright material without permission or with insufficient acknowledgement, or where the authorship of the article is contested, we reserve the right to take action including, but not limited to: publishing an erratum or corrigendum (correction); retracting the article; taking up the matter with the head of department or dean of the author's institution and/or relevant academic bodies or societies; or taking appropriate legal action. International Area Studies Review offers optional open access publishing via the SAGE Choice programme. For more information please visit the SAGE Choice website. For information on funding body compliance, and depositing your article in repositories, please visit SAGE Publishing Policies on our Journal Author Gateway. International Area Studies Review adheres to the SAGE Harvard reference style. View the SAGE Harvard guidelines to ensure your manuscript conforms to this reference style. 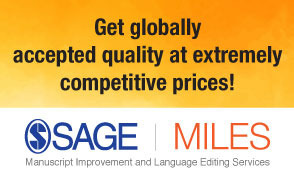 International Area Studies Review is hosted on SAGE Track, a web based online submission and peer review system powered by ScholarOne™ Manuscripts. Visit http://mc.manuscriptcentral.com/IASR to login and submit your article online.